Using a magnetic resonance imaging (MRI) machine, Eileen Luders, a researcher in the Department of Neurology at the University of California Los Angeles School of Medicine, looks for evidence that meditation changes the physical structure of the brain. Until recently, this idea would have seemed absurd. "Scientists used to believe that the brain reaches its peak in adulthood and doesn't change—until it starts to decrease in late adulthood," Luders says. "Today we know that everything we do, and every experience we have, actually changes the brain." 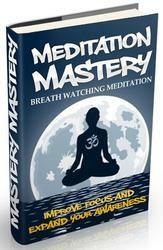 Indeed, Luders finds several differences between the brains of meditators and nonmeditators. In a study published in the journal Neurolmage in 2009, Luders and her colleagues compared the brains of 22 meditators and 22 age-matched nonmeditators and found that the meditators (who practiced a wide range of traditions and had between 5 and 46 years of meditation experience) had more gray matter in regions of the brain that are important for attention, emotion regulation, and mental flexibility. Increased gray matter typically makes an area of the brain more efficient or powerful at processing information. Luders believes that the increased gray matter in the meditators' brains should make them better at controlling their attention, managing their emotions, and making mindful choices. 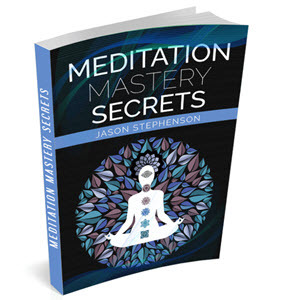 Why arc there differences between the brains of meditators and nonmeditators? It's a simple matter of training. Neuro-scientists now know that the brain you have today is, in part, a reflection of the demands you have placed on it. People learning to juggle, for example, develop more connections in areas of the brain that anticipate moving objects. Medical students undergoing periods of intense learning show similar changes in the hippocampus, an area of the brain important for memory. And mathematicians have more gray matter in regions important for arithmetic and spatial reasoning.